After finishing my PhD at the Carceral Archipelago project in September 2017, I became the Pearsall Fellow in Naval and Maritime History at the Institute of Historical Research. This involved not only a move to London, but a move into a new discipline. As a historian of punishment, I was interested in the way that histories of convict transportation overlapped with dockyards. 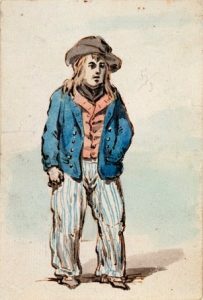 Six months into my research project, investigating convict labour on the British imperial dockyard at Gibraltar, it’s becoming clear that convicts lives were very much shaped by their proximity to seamen, including their labour, their clothing and the discipline they were subjected to. As convicts worked together with free men on the dockyards, lines between them became blurred. Convicts, like seamen, were ‘easily recognised’ by ‘their swarthy, weather beaten complexions…[and] muscular well-knit frames’. [v] In the 1889 novel Ticket of Leave Man, convict Jem Dalton’s time in Gibraltar allows him to ‘pass’ as a ‘seaman on a cattle steamer’, after he escapes the convict establishment, and return to England ‘disguised by his sunburnt skin and seafarer’s manner’ to exact revenge on our hero. [vi] This fictional portrayal speaks to wider fears about that released convicts could hide in plain sight, thanks in part by the trades learnt on the dockyard. The discipline on the penal settlement was also influenced by the naval department, who superintended part of the works. In the 1840s, for example, convicts were provided ‘a half gill of rum’ at 11 AM and 5PM, which they drank from a trough. [vii] This mirrored the daily allowance of diluted rum, known as grog, to Royal Naval seamen in the Victorian era. [viii] Convicts were also allowed to use part of their earnings, to buy goods, usually tobacco, which they were allowed to smoke in the evening in the barracks. 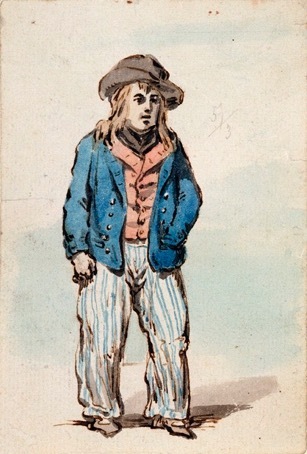 Though official correspondence cited health reasons for grog allowance, it seems likely that the convict authorities feared insubordination if they were banned from drinking and smoking, which were provided to the sappers and dockyard workers whom they worked alongside. Stoppage of grog was the most common form of punishment for minor offences, yet drunkenness caused more disciplinary refractions than it prevented. In 1854, the acting overseer, stated that he “half of the offences were committed when the men were excited by rum”. [ix] For more serious offences, convicts were flogged with a ‘cat o’nine tails’ whip against the ‘flogging mast’, and during an investigation Dr William Baly concluded that the whip which was used was an old naval cat, which was ‘much heavier than any now used in the government prison and hulks at home, or in the army.’[x] As the project continues, I will continue to investigate how the naval and military influence of the Gibraltar garrison effected how convicts experienced penal servitude on Gibraltar in the mid nineteenth century. [i] Arthur George Frederick Griffiths, Prisons over Seas: deportation and colonization, British and American Prisoners to-day ( ‘History of Romance and Crime’ edition, orig. c.1890s), pp. 155-6. [ii] Jack Coggins, Ships and Seamen of the American Revolution, p. 183. [iii] Seems to be stipulated in 1891 regulations – mentioned in Simon Wills, tracing your seafaring ancestors: A guide to maritime photographs for family historians (Barnsley: Pen and Sword, 2016). [iv] Robert Wilson (Governor of Gibraltar) to Earl Grey, 2 Jan. 1849, Gibraltar, TNA, HO 45/2929; Sir William John Codrington to Duke of Newcastle, Secretary of State for the Colonies?, 12 February 1864, Gibraltar, no. 15, in BPP 1864, vol. 40, no. 3305, ‘Annual Report of the Convict Establishment at Gibraltar for 1863’, p. 13. Sir William John Codrington, Governor of Gibraltar, 1 Jan 1864, Gibraltar Prison, BPP 1864, vol. 40, no. 3305, ‘Annual Report of the Convict Establishment at Gibraltar for 1863’, p. 13. [v] Arthur Griffiths, Prisons over Seas: deportation and colonization, British and American Prisoners to-day ( ‘History of Romance and Crime’ edition, orig. c.1890s), p. 163. 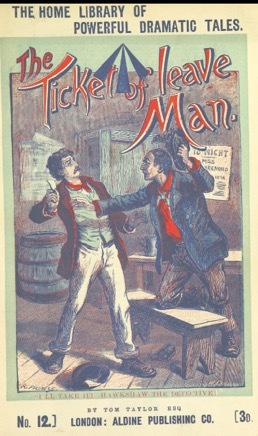 [vi] Tom Taylor, The Ticket of Leave Man (London: Aldine publishing co, 1889), p. 18. [vii] Statement of Alfred Pearce (convict), 7 May 1848, BPP 1849, vol. 43, nos. 1022, 1121, ‘Convict Disicpline and Transportation. Further correspondence on the subject of convict discipline and transportation’, p. 58. [viii] Richard Moore, ‘“We Are a Modern Navy”: Abolishing the Royal Navy’s rum ration’, The Mariner’s Mirror, 103:1 (2017), pp. 67-79. [ix] William Baly, ‘Dr. Baly’s report on the convict establishment at Gibraltar’, 1854, TNA, CO 91/219. [x] William Baly, ‘Dr. Baly’s report on the convict establishment at Gibraltar’, 1854, TNA, CO 91/219., pp. 38-9.